Great Punky/Powerpop from this Southern California band. 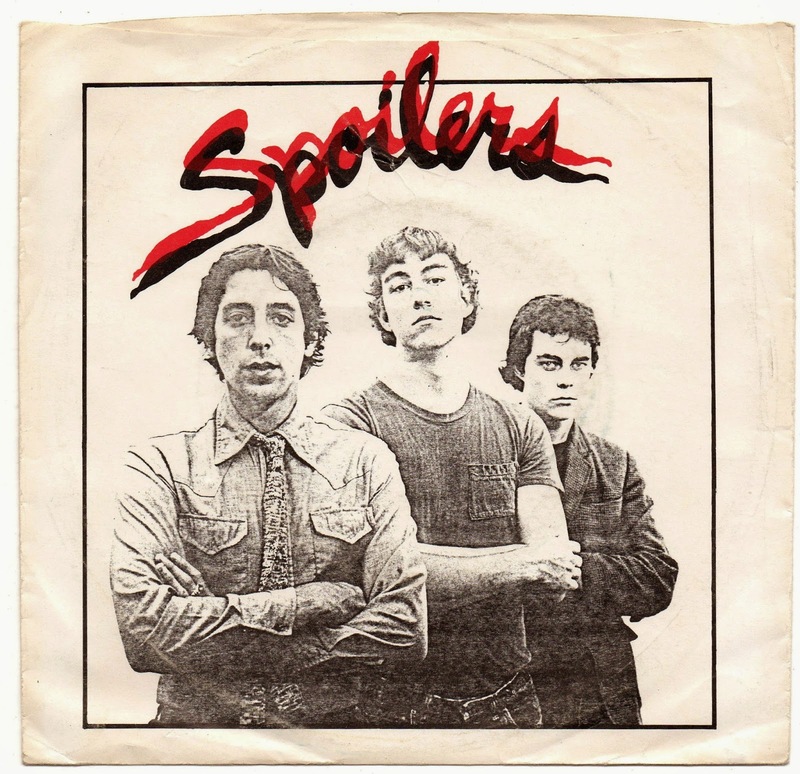 The Spoilers began Life on a sidewalk in Westwood, Los Angeles in 1978 where Dean Stefan was spotted busking Clash/Costello tunes by Chis Hickey. Bill Hickey (Drums) Chris' brother considered a semi-member of the band when he was not attending law school at Berkeley. Shortly after this 45 was released Hickey and Stefan moved North to the Isla Vista area of Santa Barbara. Where Hickey enrolled at UCSB and the band got a new line-up under the management of local impresario Stan Bernstein. Having outgrown the Santa Barbara music scene, the band headed permanently South to Los Angeles. Here a 5 track Mini Album was recorded with Paul Wexler producing. The mini album was not released due to contractual haggling with Wexler. Kessler and Wisda left the band in 1981. Hickey and Stefan then recorded a 12-song album, with Steve Verroca (of Link Wray fame) producing. Studio musicians were utilized for the recordings. Hickey went on to release many solo albums, co-lead the alt-folk band Show of Hands with future Beach Boy Randell Kirsch (& his wife LuAnn Olson), and lead the alt band Uma.